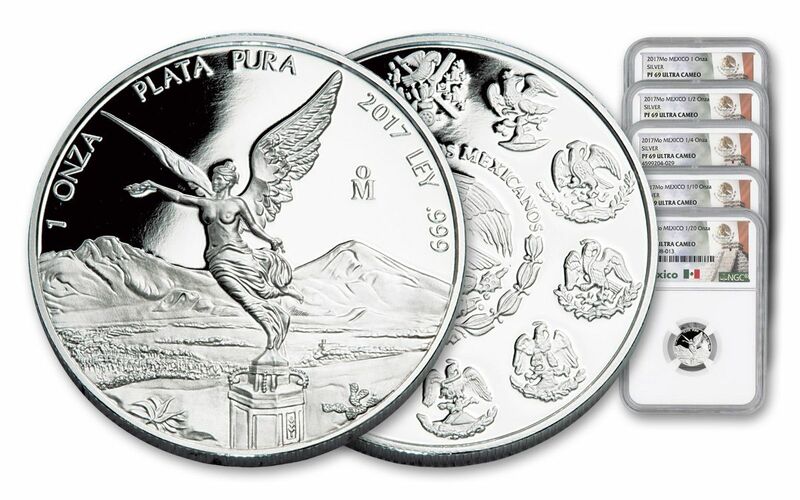 Mexico's 2017 Libertad Silver Proofs Are Here in a Gorgeous Five-Piece Set! Cast in bronze and adorned with 24-karat gold, this monument's namesake winged Victoria floats from the pedestal, a laurel crown clutched in her right hand and a broken chain in her left. A landmark symbol of triumph, freedom and peace, Victoria continues to gather people far and wide in proud remembrance. So, it's no wonder that this work of art has graced Mexico's bullion Libertads since the series began in 1982. And now, for 2017, the Silver Libertad Proof makes its annual return with a stunning five-piece fractional set! 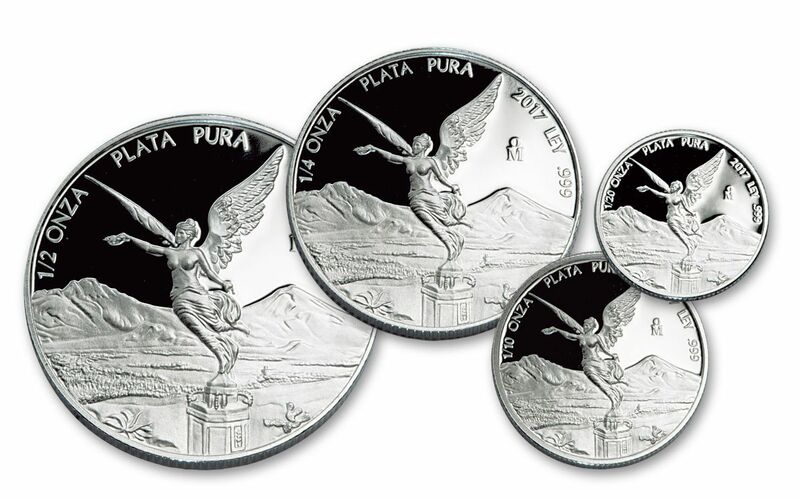 A LYRICAL VISION OF TRIUMPH AND HOPE-- Like the ones that came before it, these 2017 Silver Libertads feature the winged goddess Victoria hovering over Mexico City with the breathtaking landscape of the country beside her. Victoria is also complimented by both the Popocatépetl and Iztaccihuatl volcanoes -- named after the two Aztec lovers of legend. 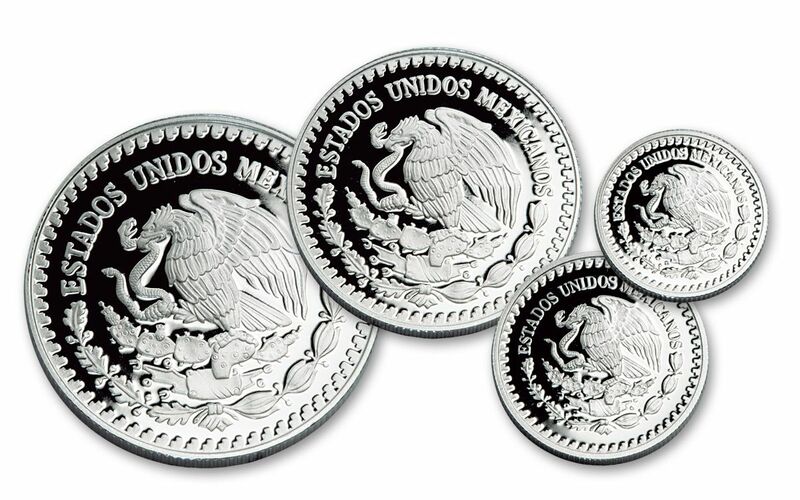 Turn each coin over and you'll discover Mexico's National Coat of Arms. In addition, this set's one-ounce coin features the same coat of arms surrounded by 10 smaller versions of the national seal. 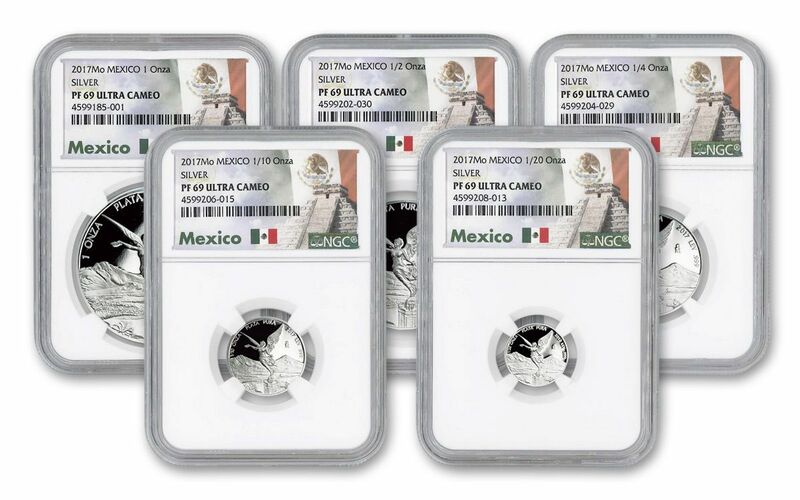 FIVE EXPERTLY CRAFTED PROOFS-- Each gorgeous Silver Libertad is literal proof of the Casa de Moneda de Mexico's reputation for fine artistry and superior quality -- a tradition set in motion since the mint's founding in 1535. Each coin is minted in 99.9% fine silver, the products of hand-selected planchets, polished dies and multiple strikes. The result is a set of five coins -- weighing in at one, 1/2, 1/4, 1/10 and 1/20 ounce each -- that exhibits beautifully frosted details that boldly rise from mirror-like fields. CERTIFIED NEAR-FLAWLESS-- Each proof in your set will come certified Proof-69 (PF69) by Numismatic Guaranty Corporation (NGC), a distinction that means your almost-flawless 2017 Silver Libertad Proofs will each showcase an impressive full strike and indistinguishable imperfections. Each Silver Libertad Proof will also be sonically sealed in its own individual acrylic case, giving you the best in protection while granting clear sightlines into every beautiful detail. TRADITIONALLY LOW MINTAGE -- The Casa de Moneda de Mexico is known for releasing only a limited amount of coins every year. While the Libertad is the crown jewel of the mint's schedule, the mintage of these proofs is still very measured compared to those of other similar series around the world -- making this gorgeous set all the more desirable! 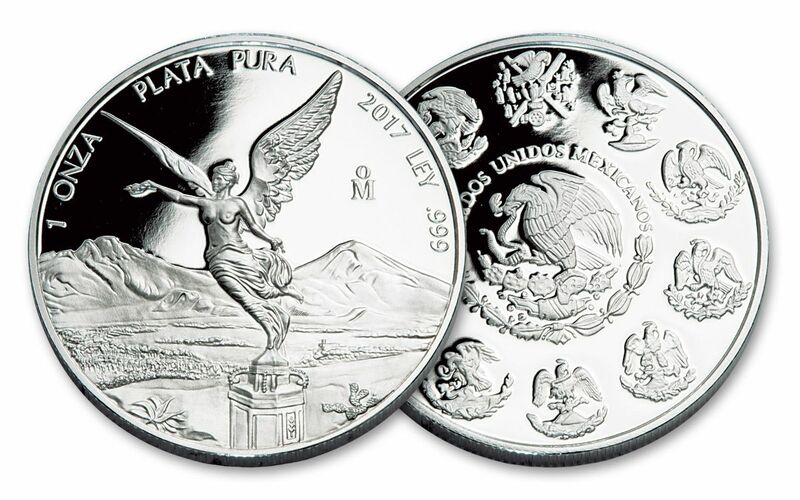 With a history that traces back centuries, this 2017 Silver Libertad Set is the latest in a long line of masterpieces from the Casa de Moneda de Mexico. However, with countless collectors clamoring for these captivating coins, we're anticipating demand to be extremely high. Don't miss out -- order yours now!